Public Speaking Lessons. E-zine. Newsletter. 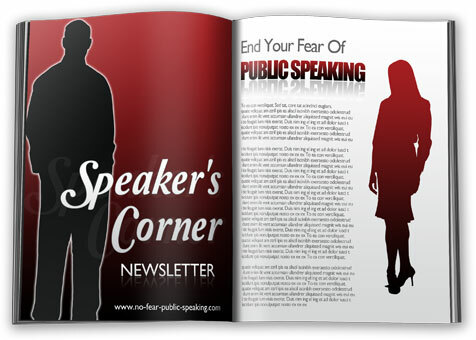 Get free public speaking lessons by signing up for Speakers' Corner, your regular public speaking e-zine. I promise to use it only to send you Speakers' Corner. to make absolutely sure that you end your fear of public speaking once and for all. You'll get all the latest tips and techniques as well as what's hot in the world of public speaking. As always there will be a focus on what you need to do to speak without any fear at all. You'll get articles, "how-to" articles, interviews, polls, resources and a lot more. And of course there will always be some cool free stuff only for subscribers like you.